On Russell Brand’s latest episode of “The Trews,” he tackles the controversy that has swept the nation in the wake of the police brutality at the McKinney pool party incident last week. While Brand says many things that the Free Thought Project may disagree with, this rant is spot on and we like to give credit where credit is due. In this episode, Brand dissects the interview in which Fox News’ Sean Hannity “interviews” the young woman attacked by rabid cop Eric Casebolt at the infamous pool party. Luckily, the girl’s father was there to shut down every asinine statement made by this ignorant and condescending political blowhard. Brand lambastes Hannity and Fox News for defending the actions of the violent police throughout the video; pointing out immediately that he’s not surprised. While Brand expertly tears apart Hannity’s argument piece by piece, one very simple yet profound statement sums up the a major cause of the police brutality epidemic. The entire video is well worth watching, and sharing. 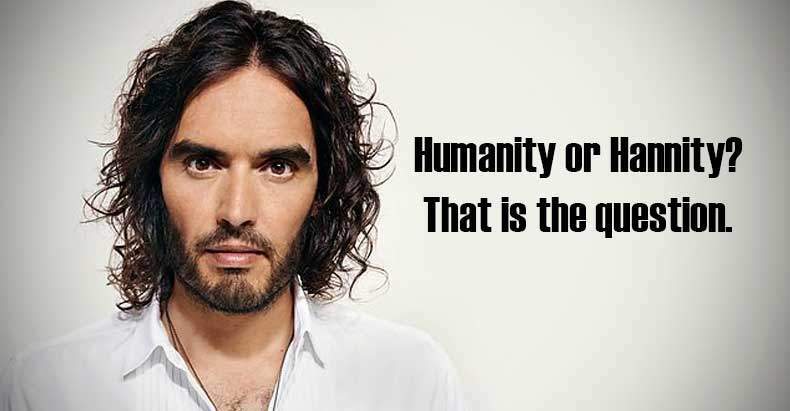 There is a very serious problem with police violence in this country, and Russel Brand hits the nail on the head with every statement made.